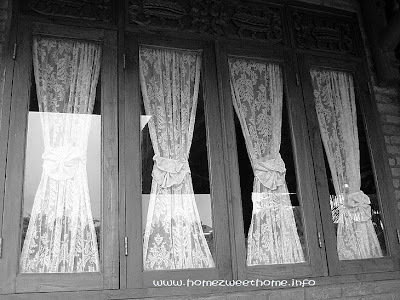 These are windows of Saung Dolken (Dolken House), a rented wooden villa. The villa located inside a fishing place area. It takes only ten minutes car ride to reach the place. I've never yet rented the villa, as it's too big for only one family. The curtains make the windows very attractive, and you have reflections too! 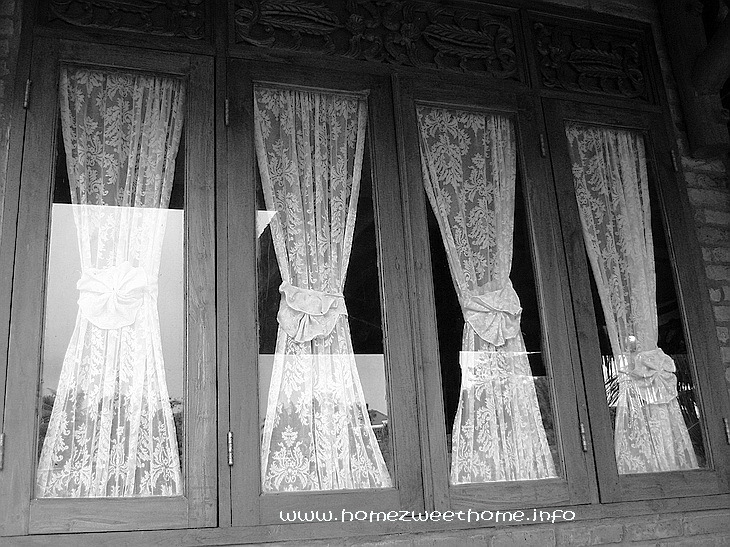 The curtains and how they are hung give it a very 'old time' feeling. I agree. The detail and delicacy of the curtains combined with the reflections make the shot. I would love to see a closer shot of an individual window (or even a portion of one window). I remember Malay homes with beautiful netting.